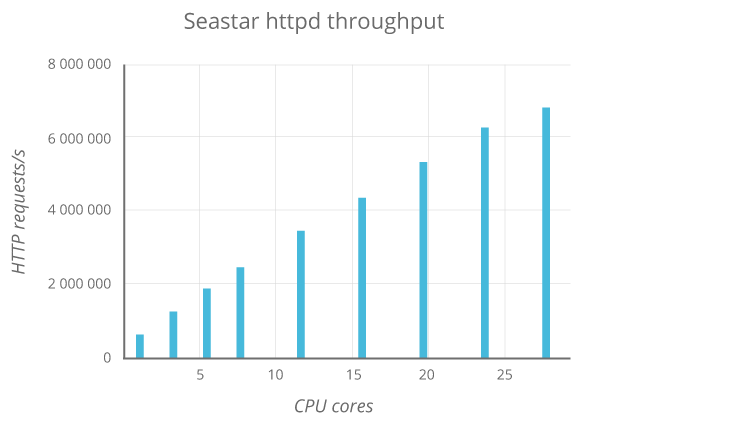 Seastar is an advanced, open-source C++ framework for high-performance server applications on modern hardware. Seastar is used in Scylla, a high-performance NoSQL database compatible with Apache Cassandra. Applications using Seastar can run on Linux or OSv. Shared-nothing design: Seastar uses a shared-nothing model that shards all requests onto individual cores. High-performance networking: Seastar offers a choice of network stack, including conventional Linux networking for ease of development, DPDK for fast user-space networking on Linux, and native networking on OSv. Futures and promises: An advanced new model for concurrent applications that offers C++ programmers both high performance and the ability to create comprehensible, testable high-quality code. Source code is available from the Seastar repository on GitHub. Seastar documentation is available on the web or within the source code. seastar-dev is the project mailing list. Follow @ScyllaDB on Twitter for more info. In the above examples, all servers are running on Linux. 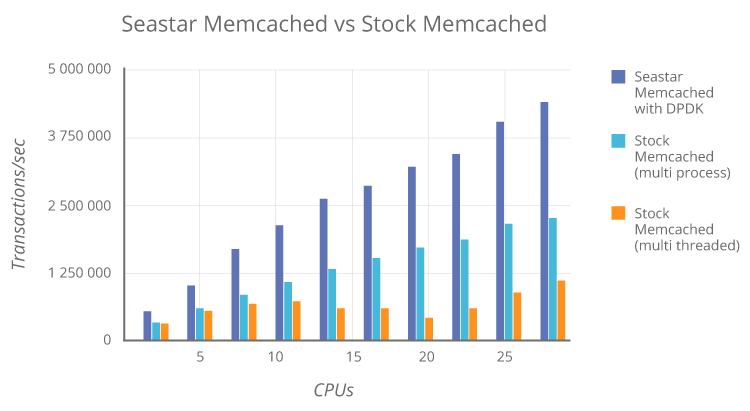 The stock Memcached is version 1.4.17. Details on HTTP performance data are also available.